For those lucky enough to live in Australian Capital Territory, you jammy so-and-sos have a public holiday to look forward to at the end of this month in the form of Family & Community Day 2015 — which is set to take place on Monday 28 September. In homage to this most praiseworthy public holiday, Cruise1st Australia are celebrating Family & Community Day by showcasing a selection of our favourite family-friendly cruise breaks departing over the coming months. Whether you live in the ACT or not, these child-friendly sailings offer the perfect opportunity to take a day or two out of your busy schedule and enjoy some much-needed family time. Departing Sydney on the 10 November, this 9-night sailing aboard P&O’s ultra-child-friendly Pacific Pearl sweeps passengers away on an unforgettable seafaring voyage to the South Pacific — stopping at Vila, Lifou Island and the Isle of the Pines along the way. For families seeking solace from the 9 to 5, this cruise is second-to-none. Aboard Pacific Pearl, families can enjoy a host of child-friendly activities — from enchanting production shows to the viZion laser light extravaganza — whilst on land, the soft sandy beaches of the South Pacific are sure to prove a hit with cruise passengers young and old. If you’ve four days to spare and are looking for a quick trip with the kids; Carnival Cruise Line’s flexible four night sailing, Queensland from Sydney, could be the perfect choice for you. Departing Sydney on 27 November, this exciting cruise ferries families to the Sunshine Coast and back again — with ample time to enjoy the region’s beautiful beaches or renowned visitor attractions. Given that November 27 is a Friday, passengers looking to travel aboard Carnival Spirit, as it cruises to the Sunshine Coast, would only need to book a couple of days off work — making it the perfect choice for families with limited time on their hands. Combining exceptional affordability with a host of exciting destinations, sampler cruises give schedule-stricken cruise passengers the perfect excuse to escape the rat race — if only for a short while. One of our favourite sampler cruises is Royal Caribbean’s Tasmania Sampler, which transports passengers from Sydney to Hobart on a stimulating 4-night trip. Departing 11 December, the Tasmania Sampler lets work-weary passengers enjoy the leisurely pace of a cruise break in a compact, easy-to-plan package. Guests will travel aboard RC’s Radiance of the Seas, a 2,500 capacity vessel famed for its eclectic entertainment roster and range of child-friendly amenities — including mini golf, pool tables and a water slide. 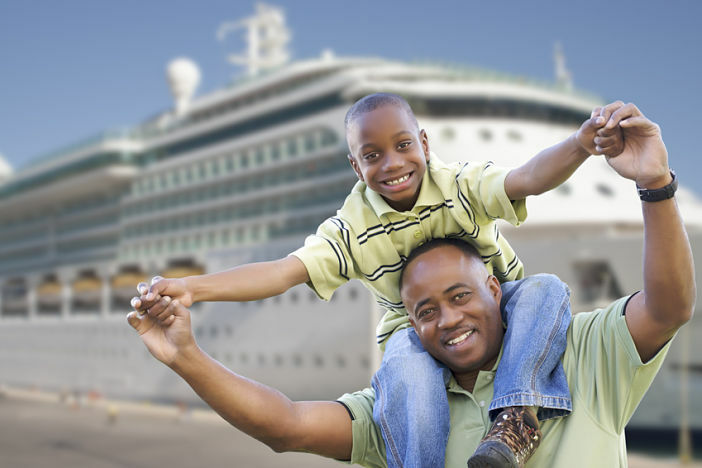 Explore our best cruise deals and find your perfect family cruise holiday. Call our experts to learn more about any cruises you are interested in on 1300 594 892. Images sourced via Flickr Creative Commons and Wikimedia Commons. Credits: paul bica, HK.Colin. By Bahnfrend (Own work) [CC BY-SA 3.0], via Wikimedia Commons.